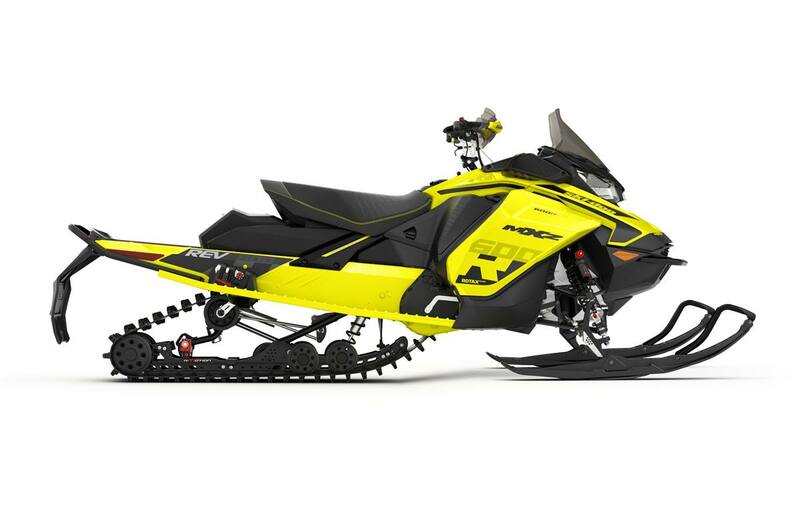 The Ski-Doo MXZ 600R E-TEC adds to our legacy of innovation by setting the new standard for the 600cc snowmobile. 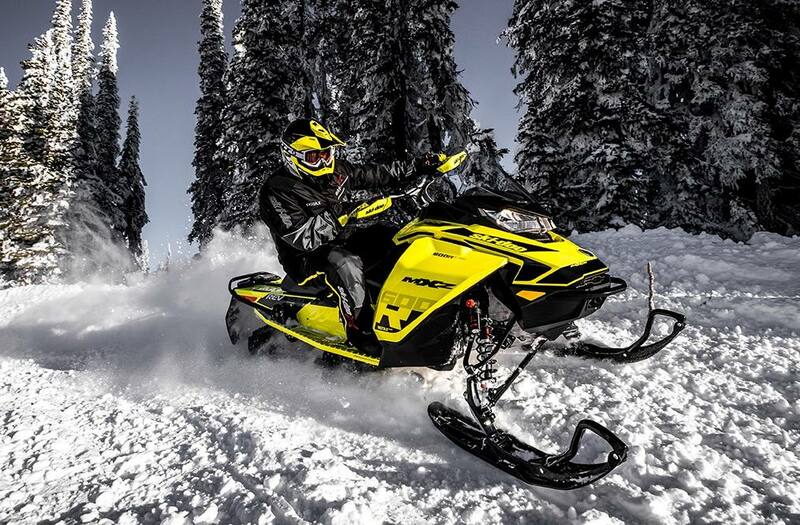 With a more powerful 125-horsepower the Rotax 600R E-TEC engine offering 30% quicker response set in the strong, agile REV Gen4 platform, the new MXZ 600R E-TEC reaffirms its place as the premier cross country sled in the industry. 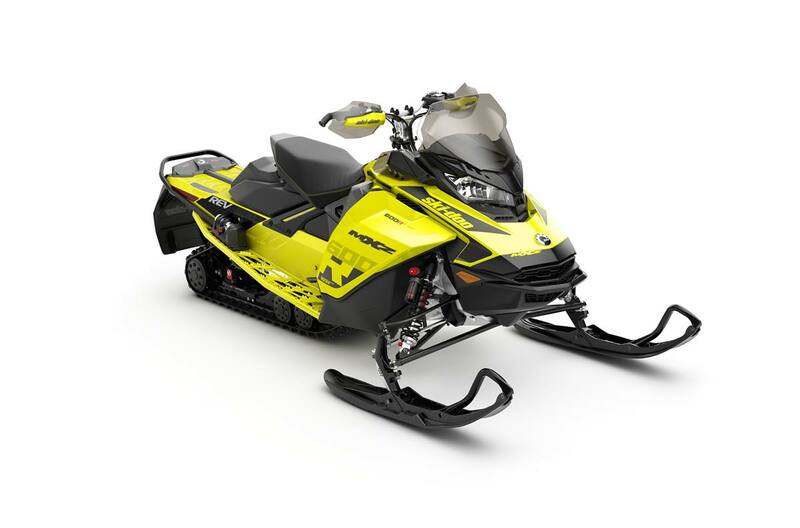 Rotax® 600R E-TEC® Engine: The Rotax 600R E-TEC engine with second generation E-TEC technology offers immediate throttle response, crisp acceleration while continuing to set the bar for reliability, and 2-stroke oil and fuel economy. KYB® Pro 36 R Easy-Adjust Front Shocks: Extreme capability, extreme durability shocks with new compression and rebound calibration ranges for optimized control the toughest conditions. Easy Adjust knobs for compression and rebound adjustments. rMotion™ Rear Suspension with Quick Adjust™ System: Running-board-mounted controls for rear suspension spring preload and rear shock compression damping make fine-tuning fast and easy, even with gloves on. Bore: 72.3 mm / 2.85 in. Stroke: 73 mm / 2.87 in. Vehicle overall length: 2,925 mm / 115.2 in. Vehicle overall height: 1,267 mm / 49.9 in. Front suspension max. travel: 255 mm / 10 in. Riser block height: Adjustable - 120 mm / 4.7 in.